Disney's Frozen is due in the West End in autumn 2020, and the anticipation is already mounting. It's official - the dazzling smash-hit Broadway stage adaptation of Disney's magical animation, which has totally wowed Broadway, is on its way to our very own Theatre Royal Drury Lane. 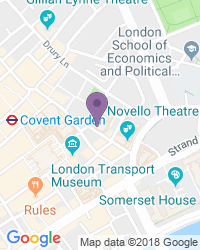 The venue is being refurbished right now, at great cost, and the results are going to be amazing, ready to be revealed just in time for Frozen at the end of summer 2020. It's a way off still, so the casting is yet to be announced. But we do know one thing - the Broadway cast won't be transferring to the West End, and that means the producers will be on the look-out for a British cast. How thrilling! This Disney stage musical is inspired by the 2013 animated movie, the highest-grossing animation of all time with box office earnings of more than one and a quarter billion pounds, a truly extraordinary amount of money. The stage musical hit Broadway's St James Theatre in March 2018 and was nominated for a Tony award for Best Musical the same year. It has been on stage there ever since and has enjoyed an incredibly successful run. 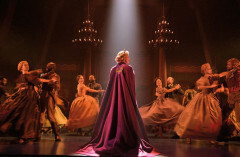 The current Broadway show is predicted to end in summer 2019, at which point the cast will take off on a tour of North America lasting until early 2021. There's going to be a production of Frozen in Hamburg during 2021, and there are 2020 productions planned for Australia and Japan, too. Michael Grandage directs this amazing production. There's puppet design from Michael Curry and the video design comes from Finn Ross. Natasha Katz designs the lighting and Christopher Oram the costumes. The choreography is by Rob Ashford and the sound comes from Peter Hylenski. Stephen Oremus deals with the arrangements and musical supervision. The show's written by Kristen Anderson-Lopez and Robert Lopez, both of whom are thrilled to be involved in sharing the Frozen story. The plot? Your children will be delighted to know the story follows the original film, with the addition of plenty of fresh, new tunes to add extra sparkle. You'll enjoy live versions of the awesome Let It Go, plus brand new songs including Vuelie, Colder By The Minute and Let the Sun Shine On. When their kingdom suffers a winter that never seems to end, brave Anna, the mountaineer Kristoff and his reindeer set off to find Anna's wicked sister, the Snow Queen Elsa, and stop her evil spell in its tracks. They face an epic journey with magic at every turn. Will they save the kingdom from perpetual winter? Come and see! 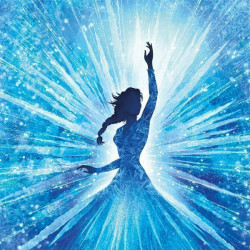 Frozen is a full-length musical lasting for two hours. As such it's designed for children aged 8 and over, and isn't at all suitable for those under four years old. 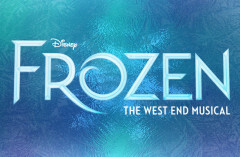 Use the search box at the top left of this page to search for Frozen the Musical tickets availability.